Pay attention to the risks before you invest. As I mention throughout our video series – marketplace lending has inherent risks. In this video, I’ll discuss a few key risks, and then point you to a document we filed with the SEC for a comprehensive list. As investors, there are at least five risk types to manage in marketplace lending: market risk, credit risk, platform risk, trading risk, and interest rate risk. Let’s go through them one by one. “Market risks” include the rate of unemployment, changes in real estate values, interest rate fluctuations, and so on. There are dozens of factors that cause a consumer loan portfolio to perform worse than planned, but the one I worry about most is the unemployment rate. If unemployment spikes upward, as it did during the Global Financial Crisis, our returns will go down. No doubt about it. We can’t predict how far they’ll go down, but I will offer you this: our models are quite conclusive – and history has shown – that consumer credit portfolios perform better than equities during recessionary periods. But as you know, this isn’t a guarantee. “Credit Risks” include things like defaults, bankruptcies, and even prepayments. Defaults and borrower bankruptcies are clearly risks, because that means you don’t get paid back. That’s a big part of why we exist: to help you invest your money wisely in consumers that are more likely to make good on their loans. There is also a chance we get it wrong, and pick some bad loans… or a lot of bad loans. That’s the nature of investing. And what about prepayments? This is when borrowers pay back their loans early, so they pay – and you receive – less interest than expected. How’s this a problem? Well, if you were expecting a payment of $500 and you got $10,000 back instead because the borrower prepaid, you now have a lot of a cash sitting in your portfolio that needs to be reinvested – and quickly – because it’s earning you nothing. That’s what we call “cash drag” in your portfolio. This is another reason we exist: to help you deploy your cash quickly, efficiently, and wisely. “Platform risk” is somewhat unique to marketplace lending. Because this industry is only a decade old, the platforms have limited operational histories and an imbalance of supply and demand – lots of investors going after a limited number of borrowers. Our investment strategy relies on the origination platforms, like Lending Club and Prosper, to stay financially healthy, and originate sufficient loans to satisfy our clients. We cannot guarantee that this will happen. Our loan selection is all done by computers and algorithms. This creates “trading risks.” Like with every digital system, complications occur that require constant monitoring and frequent updates. The other thing you should think about is liquidity. When you invest in marketplace lending, you’re entering a binding contract with the borrower, and your funds generally can’t be withdrawn. So you’re committed to the loan until it pays off. There are great advantages to marketplace lending, but getting your money out quickly is not one of them. So make sure you appreciate the illiquidity of this asset class. Finally, “interest rate risk” is inherent in any kind of fixed income instrument like consumer credit. A rise in interest rates, or a substantial rise in inflation, generally makes an existing loan portfolio less attractive. Interest rate risk isn’t about your portfolio underperforming, but that other investment opportunities outperform. 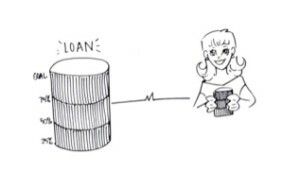 How marketplace lending works, in a nutshell! 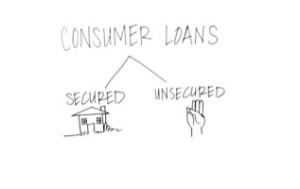 What’s an unsecured installment loan, and why should I care?